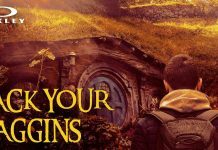 Oakley Promo: All-Expense-Paid Trip for 2 to New Zealand! 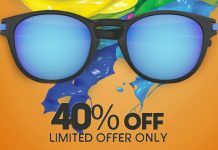 If you’ve been wanting to treat yourself or someone you love to an Oakley eyewear, now is a perfect time! New Fitbit Lineup Alert: Fitbit Versa Lite, Inspire, Inspire HR! 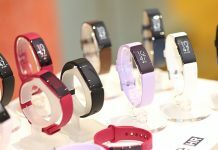 And just as the second quarter of 2019 begins, Fitbit announced the arrival of their new Lineup consisting of the Fitbit Versa Lite, Fitbit Inspire, and Fitbit Inspire HR! 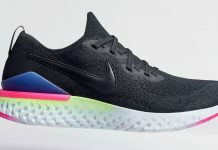 Check out the Nike Go More, Get More pop-up booth located in Bonifacio High Street in BGC where you can experience running with the new Nike Epic React. 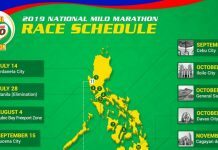 The 43rd Milo Marathon Nationwide Schedule has been released! 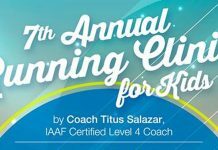 This year, there will still be a total of 11 races like last year and the National Finals will be held in TARLAC! 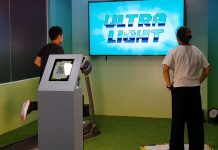 A New Philippine Sports Training Center Is Set to Be Built! 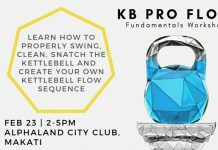 MANILA, Philippines - Building a new sports training center of global standards finally became reality as Filipino athletes will soon have a home to train for competitions. First-Ever Protected Bike Lane Along a National Highway Opened! 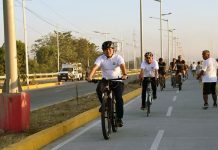 Last Thursday, the Department of Public Works and Highway (DPWH) took a step forward in solving this issue by inaugurating an independent 3-meter-wide bicycle lane in Laguna Lake Highway - a road connecting Taytay, Rizal to Bicutan, Taguig. It’s finally happening! 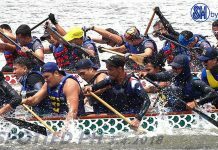 SM by the bay partners with Seahawks PH for the very first SPRINTS by the BAY: Dragon Boat Regatta on February 03, 5AM at the North Fountain, SM by the BAY. Inspired by the vibrant tones of the 90s tech world, the debut colorways, “8-Bit” and “Pixel”, feature a white-to-lime gradient midsole, a hyper pink-to-white outsole, and a sapphire heel clip. 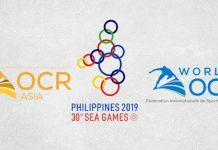 Obstacle Course Racing is Now Officially Part of the 2019 SEA Games! 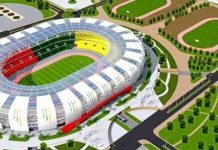 From the trending logo to sneak peeks of a new Sports Complex in Pampanga, it’s no secret that the Philippines is hosting this year’s Southeast Asian Games. As we look forward and enjoy the holiday season, Oakley, one of the leading products design and sports performance brand in the world, makes gift-giving more exciting through its nationwide holiday sale!